In every class, I help each person express his or her unique vision. I show inspiring artwork as a starting point, help student artists develop their own ideas, and teach solid art skills. Each project is tailored to be developmentally appropriate for each artist in the class, so projects are challenging without being frustrating. Our classes together are fun and inspiring! 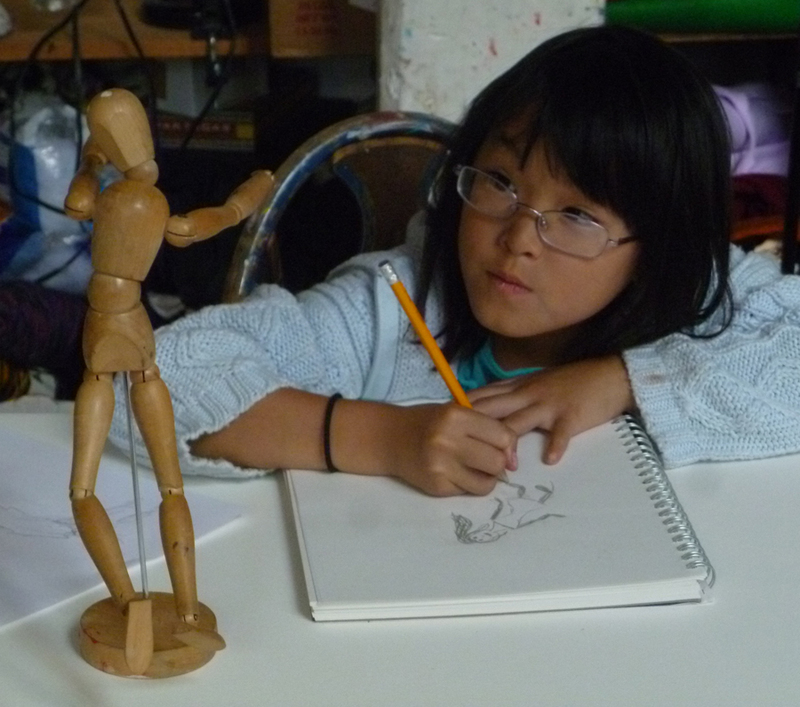 In this class, young artists will get to build their drawing and painting skills, and to use them in different ways. We will work from observation to learn how to do the magic trick of making a flat piece of paper look like three-dimensional space. We will add color theory to this foundation when we make paintings, and we will apply all of these skills to making linoleum prints. Artists who would like to will have opportunities for doing three-dimensional work.